Kara Hayward, freshman, played Suzy Bishop in the movie "Moonrise Kingdom." At 12 years old, Kara’s life was changed forever when she was cast almost out of the blue to co-star in Moonrise Kingdom, which premiered in 2012. The film tells the tale of two misunderstood 12-year-olds who fall in love and run away together on a remote island off the coast of New England in 1965. Anderson wore two hats for the film, not only directing but co-writing alongside Roman Coppola. Along with Hayward and another young newcomer, Jared Gilman, the film starred Bill Murray, Bruce Willis, Edward Norton, Frances McDormand, Tilda Swinton, and Jason Shwartzman. One would think earning a role of such stature must take years and years of hard work, assistance of an agent, or at least some previous experience within the field of acting. But in Hayward’s case, all she needed was a little bit of luck. “I had no idea I wanted to be an actress until I went to work on Moonrise Kingdom,” said Hayward. “The audition happened to be an accident.” Hayward learned of the open call in Boston from a dance teacher. “I figured I had nothing to do that weekend,” said Hayward, of her choice to attend the audition. Most surprisingly, Hayward lacked a feature that one would assume to be paramount in earning any role: previous acting experience. Besides “those mandatory elementary school plays” and a weeklong summer camp, Hayward was new to acting. From then on, it was smooth sailing for Hayward. About a week after the audition, she received a call letting her know the director wanted to meet with her in New York City. “They brought me down to New York, I met him, and about a week later they said I had it,” remembered Hayward. It was quite the Cinderella story for a girl who three weeks earlier was unaware of this possibility existing. The Wood Hill Middle School student’s life was about to change forever. “It was insane,” recalled Hayward. And so, the journey began. Hayward uprooted her life in Andover to begin her portrayal of the role of Suzy Bishop. To prepare, Anderson had Hayward watch a film called Melody, to “draw inspiration for my character and the story from, because that’s part of where he drew his inspiration from,” said Hayward. Hayward also had to write letters back and forth to her co-star, Jared Gilman, who portrayed the role of Sam Shakusky, according to Hayward. Their characters do the same in the film. Not only did Hayward have to hold her own amongst professionals, she also had to become a highly troubled character, fit in to a time completely different to her own, and portray a heart-wrenching love story, all at the age of twelve. Hayward speaks with the wisdom of the ages as she describes her time spent filming. To connect with her character, Hayward found small connections between herself and Suzy Bishop, as they are very different people, according to Hayward. “It was being able to put myself in that mindset,” said Hayward. Hayward’s life has not returned to normal since the premiere of the film. 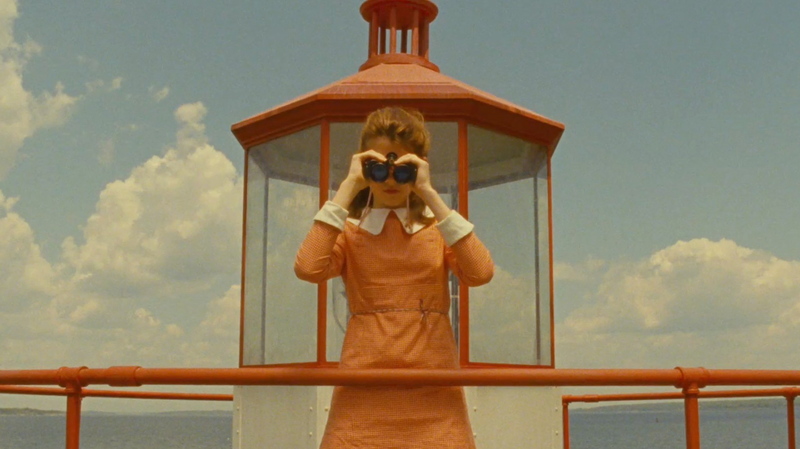 Moonrise Kingdom was shown at France’s Cannes Film Festival, which the entire cast attended. Hayward said she still misses school from time to time, for award shows or filming. Unfortunately, fame does not come without a price. Hayward has noticed that people do treat her differently because of the movie. “Sometimes I meet people who act just like I’m a different person, like I’m something to be looked at, like I’m sort of an object, something different. It happens, it’s curiosity, I completely understand it,” said Hayward. “The people who I try to surround myself with are the ones who treat me the exact same way [they always have].” Hayward surrounds herself with people who keep her grounded, she said.